The tool I am going to cover in this guide is “Word Flash Cards (with your own word lists)“. 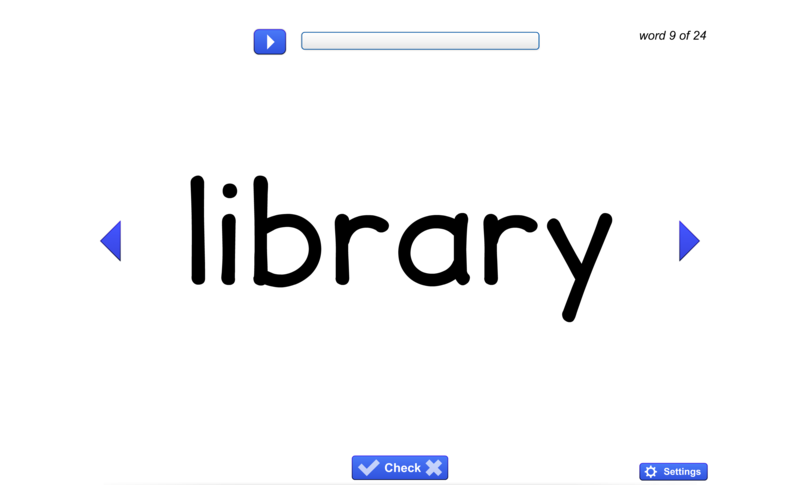 This tool is great for students who are practicing the pronunciation and understanding of vocabulary words. It can be used for any difficulty level, because you add your own words! 1. First thing you’ll do is open the tool and press “settings” at the bottom of the screen. You will then see the screen below. 2. Next, you will create a name for the word list and add the words, pressing enter after each addition (as you can see on the left-hand side of the screenshot below). In the “settings” you’ll see that you can also choose from other options for how this tool will be used, but I will explain more about those in the next step! 3. Once you’ve entered the needed words, you can start your activity with the default settings by pressing “save”. Or you can choose from the following options to configure the activity as needed. 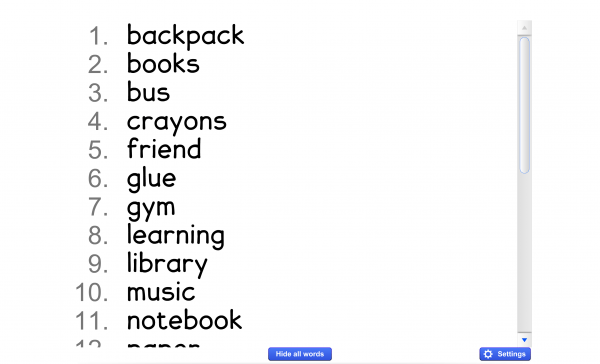 Under “Word order”, you’ll decide if the kids will be presented the words at random or in the order you’ve entered them. Under “Type of exercise” you’ll choose if there’s a pause or not between the words. Below “Select a delay” you can pick how much time you want to give your students for each word. 4. After you click “save”, you will be brought to the activity. You can start the activity as set up in “settings” by pressing the play button. 5. 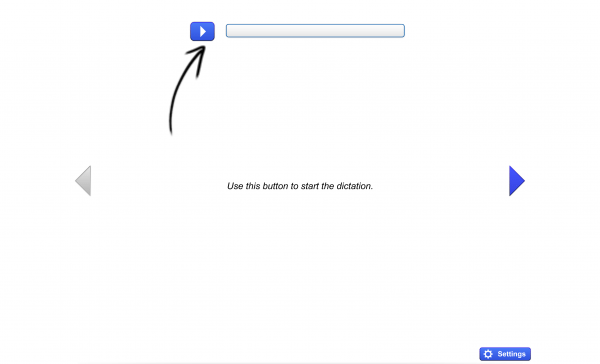 You can also choose when each word will appear manually, by using the blue arrow buttons on either side the word. 6. You can click the “check” button at the bottom-middle of the screen to show an overview of the words in order, so that you can review the words all together with your class. 7. 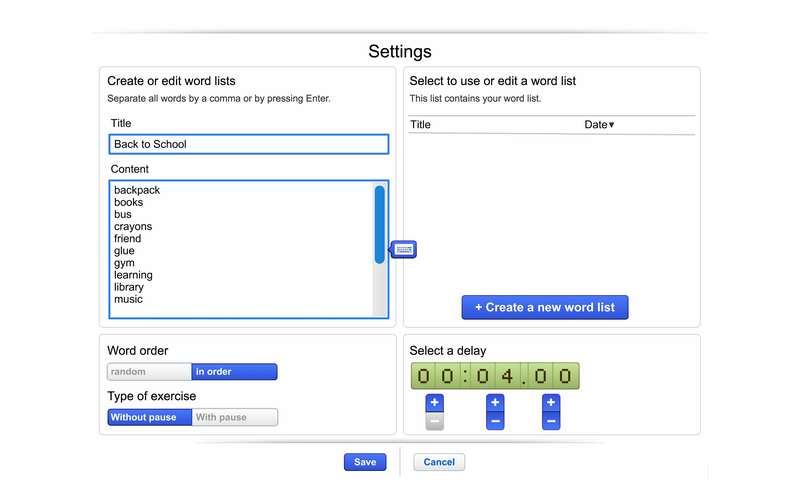 You can now choose this word list again by selecting “settings” whenever you open the tool. To create a new list, press the “+ Create a new word list” button and load those words in there! 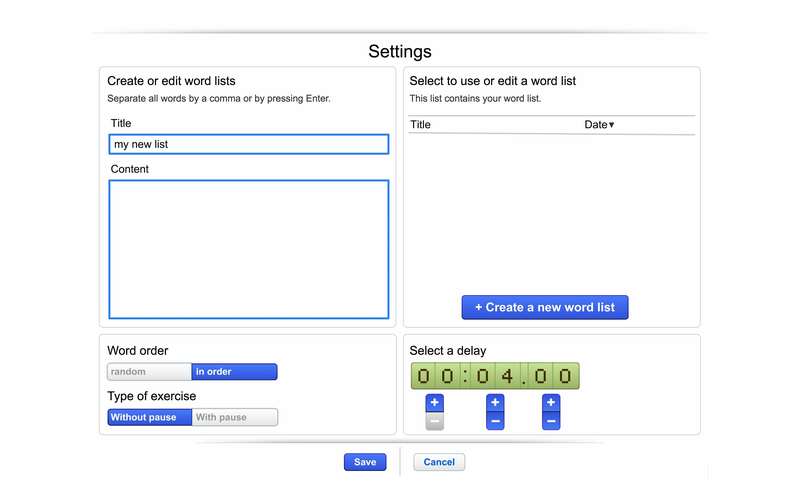 You will then see all of your word lists ready-to-go on the right side of the “settings” pop-up screen. BONUS TIP- All of the word lists created in this tool will also automatically be available in the “Hangman with your own words” tool! 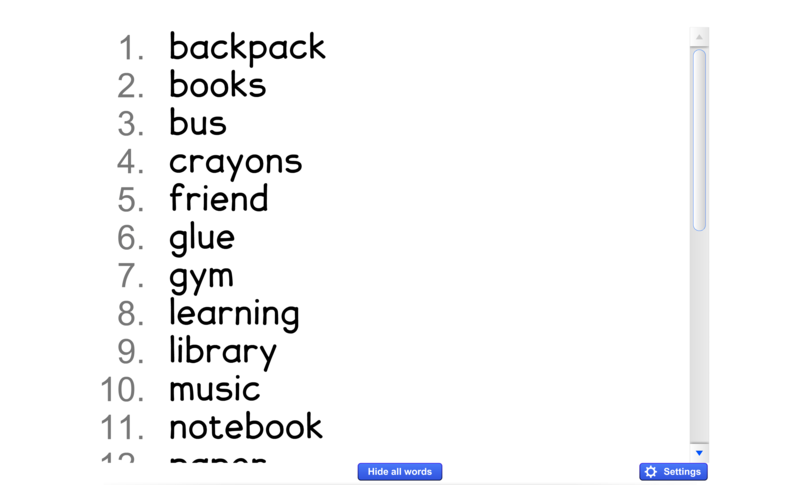 So you can start a lesson by getting your students familiar with the words on screen with “Word diction” first, and then play a fun game of hangman!